Inspired by the roses in my garden, I created this set of 5 gradient shades using Di Lusso Candy yarn. 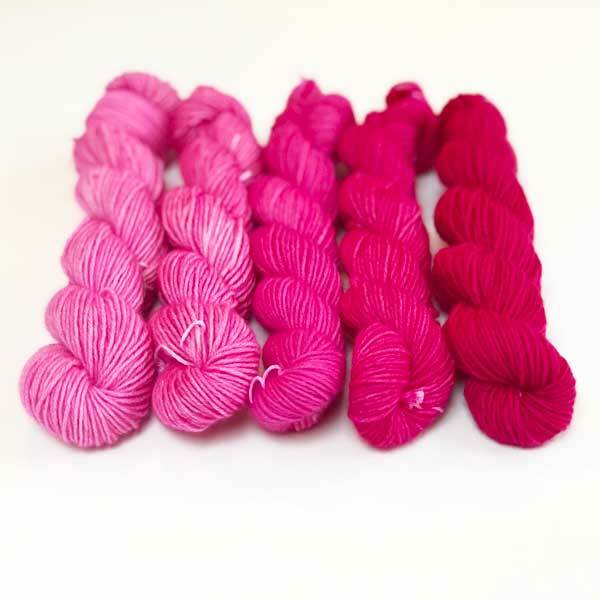 Part of our Limited Edition Shfades, I created this pure cashmere 5ply fade set using Di Lusso yarn. 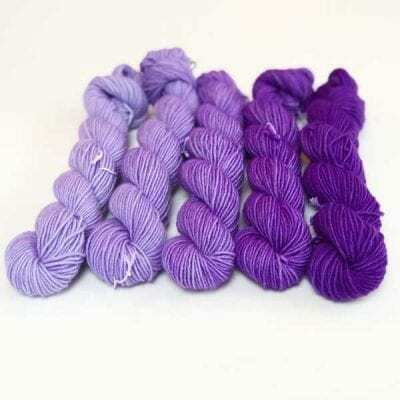 Each skein is 25g so the set is 125g. See below for yardage. Completely unique this set is made from the finest pure cashmere, usually priced at £15 per 25g, this is a bargain as you are effectively getting one skein free!